Spaying your cat reduces her chances of developing mammary tumors. 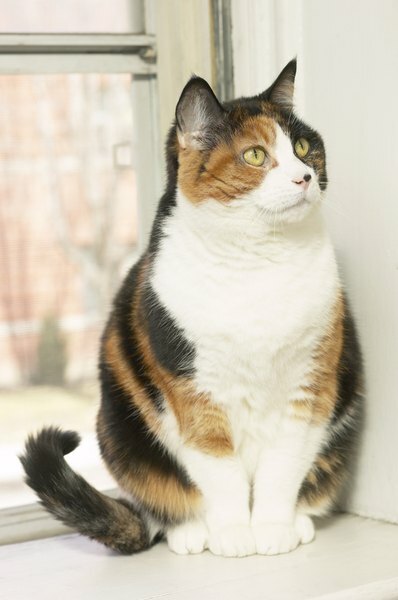 Don't worry, spaying your cat won't make her fat, boring or particularly meditative. She will still play, vocalize her opinions and actively hunt after the operation. Your cat may be less affectionate overall, particularly towards strangers, but she'll still be the same friendly cat that you've learned to love. The spay operation removes the reproductive tract, decreasing the amount of reproductive hormones in your cat's blood. Some female cats are extraordinarily affectionate or playful because of these hormones, especially during a heat cycle. Spaying doesn't necessarily mean your cat won't be as nice as she used to be, but it is possible that she won't be as warm or persistent after her hormone levels drop. Hormones can also influence energy levels, although many spayed cats stay active and in shape. A study of cat owners revealed that 1 in 4 felt that the spay operation made their cat more lethargic, according to University of California Davis School of Veterinary Medicine. Don't be surprised if your cat acts a little weird for the first few days after her operation. Anesthesia lingers in her system for about a day after the surgery, so she may be groggy, dizzy and unwilling to eat at first. She should be back to her old self in a day or two though, according to Mar Vista Animal Medical Center. Keep your newly-spayed kitty in a quiet room separated from foot traffic and other pets. Give her a week or two to rest and heal before she starts jumping around. If your cat isn't back on her feet after the first two days, then it may be time for a trip back to the vet. While she will be sore for a few weeks, your kitty should be social, hungry and alert within 48 hours of returning home. Call your vet if she has trouble breathing or if there is redness, swelling or leakage around the incision, according to the ASPCA. Don't let your cat chew at the wound. Put a cone collar around her neck if she won't leave it alone. Since your cat no longer goes into heat, she won't actively seek out mates during the height of her reproductive cycle. Females tend to wander farther than normal when they are in heat, so your outside cat should stick closer to home after the operation. You also won't need to worry about listening to your cat's midnight yowling any more. Getting your cat fixed can stop her from spraying pungent scent markers everywhere, but she may continue to do it if it became a habit before she was spayed. Do Cats That Have Been Spayed Become More Friendly? Do Cats Act Weird Post-Anesthesia? Why Does a Fixed Cat Howl?